Thanks to the Google Earth Blog I just learned about the release of an updated version of Google Earth Pro. Google Earth Pro (it's free despite the "pro" designation) is the desktop version or "classic" version of Google Earth. The latest version includes thirteen improvements to Google Earth Pro. You can see the full list of improvements here, but I'm going to highlight the ones that will probably matter the most to teachers and students. The first notable updated is support for Windows 64-bit. This matters if your school's computers operate on the 64-bit versions of Windows. The latest update to Google Earth Pro provides improved handling of large KML files. If you have previously had Google Earth slow or freeze when launching large KML (AKA Google Earth files), you should experience that less often now. Speaking from experience, there's nothing more frustrating than trying to get all of your students to launch a KML file only to hear half of them say, "Mr. Byrne, it's not doing anything, it's frozen." Finally, the latest version of Google Earth Pro has resolved the inconsistency issues associated with the elevation measuring tool. 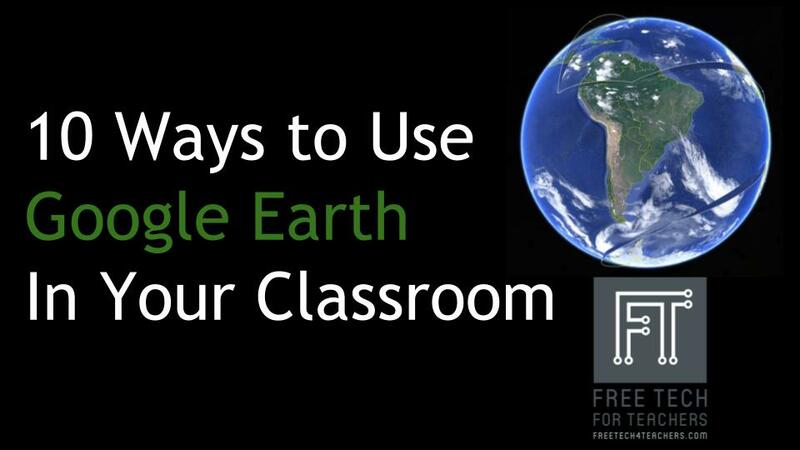 One of the most popular posts that I published last year was this one in which I highlighted ten ways that you can use Google Earth. The list is not limited to just social studies lessons. In the list you will also find some tutorials.